Do you enjoy poetry? Do you like to get carried away by the visualizations that start popping up in your head while reading poems? Do you aspire to write your own anthology someday? Is the title of a book of poems by a certain author enough to send you squealing in delight once you discover it underneath the gift paper that wraps up a small parcel? If you said yes to one or more of these questions, then it is true… you have the soul of a poet! As a language and literature student, reading and writing poetry is now more than ever an essential part of my daily life. And therefore, I have decided to share a little of my passion, by recommending you some of my favorite poets of all time, bound to make your dream and sometimes even weep as well. Born in Selkirkshire, Scotland, Alison Rutherford would later adopt the surname Cockburn after her marriage to a lawyer, Patrick Cockburn of Ormiston, who died in 1753. Even though her financial situation was never a very privileged one, she is said to have been a very lively and cheerful woman with a somewhat sarcastic sense of humor, who enjoyed composing parodies and drawing character sketches and caricatures. 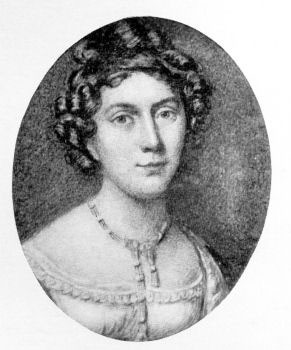 She also became good friends with notable figures of the Scottish Enlightenment movement, such as the philosopher David Hume and the poets Robert Burns and Walter Scott; and she would often host literary gatherings at her house in Edinburgh in order to discuss philosophy, politics and literature with them. Her heart-wrenching version of Flowers of the Forest, originally a folk tune inspired on the defeat of the Scottish king James IV and his men by the English at the battle of Flodden in 1513, is probably her most famous poem… guaranteed to make you cry! 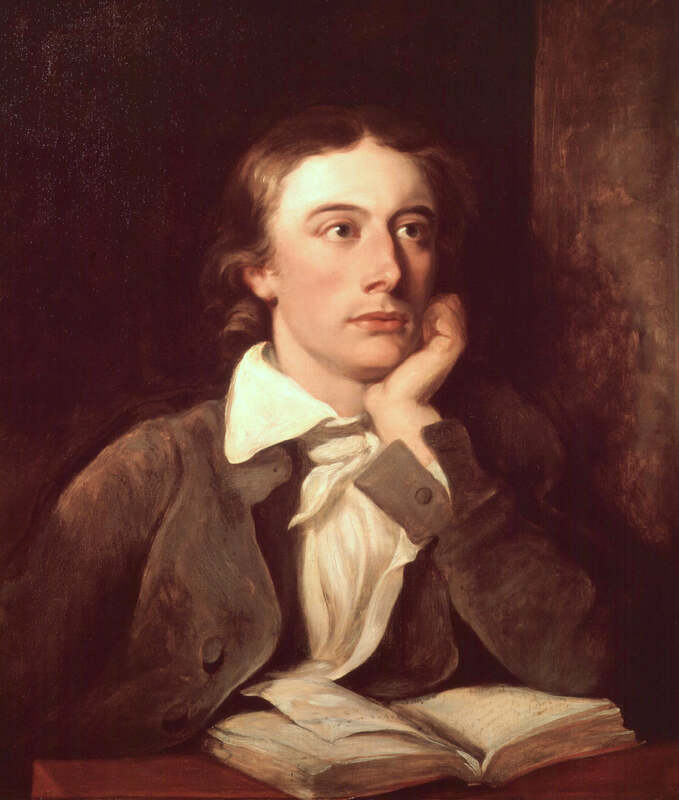 Keats is considered one of the most famous (and beloved) English Romantic poets, along with Lord Byron and P. B. Shelley. Born to a family of humble origins in London, he began to grow interested in literature as a young boy and decided to dedicate himself entirely to writing in 1816, shortly after receiving his apothecary’s license, which enabled him to work as a physician and surgeon. Having written his first extant poem when he was 19, he soon let his creativity lose, writing dozens of poems for the next six years of his life. Sadly, he wasn’t able to provide us with more of his work, for tuberculosis claimed his life a few months after his 25th birthday. His poems he has bequeathed us are often long, and very thoughtful, with an abundance of reflections about earthly life and depictions of nature, portrayed in very idealized and bucolic ways. His poems I Stood Tiptoe Upon a Little Hill, Ode to a Nightingale and Ode to Sleep will definitely capture your heart, transporting it to the English countryside so dear to the author. This gentleman with such a solemn demeanour was one of France’s greatest novelists. He is best known as the author of the novels Notre-Dame de Paris, which would years later inspire one of Disney’s darkest movies, The Hunchback of Notre Dame; and Les Misérables, which, even though much time has passed, still possesses the ability of making us cry our eyes out at the wretched life many people knew in 19th century France. But Hugo’s literary work doesn’t only include novels, for he was as well a prolific playwright and poet. 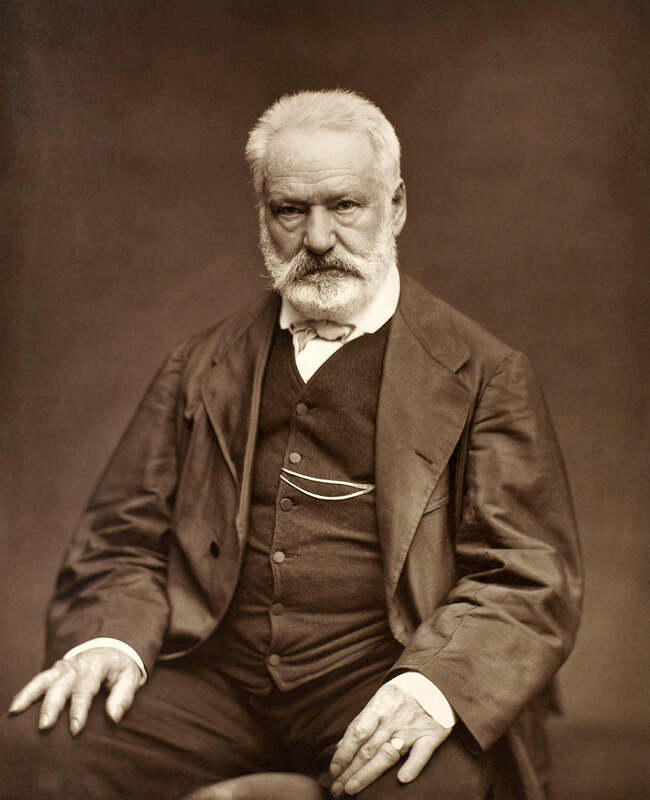 Very concerned with the politics of his country, Victor Hugo often used his literary work as a way of social and political critique. However, he could exploit these aspects while still managing to be very tender and affectionate, as we can see if we read the poems included in his book The Art of Being a Grandfather. 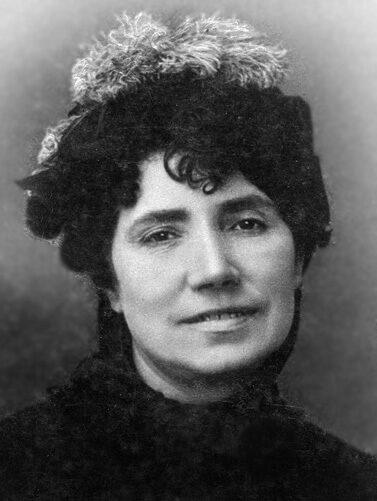 Rosalía de Castro is one of Spain’s greatest Romantic poetesses. Born in Santiago de Compostela, capital of the autonomous community of Galicia, she would write in both Spanish and Galician languages: Follas novas (New Leaves), Cantares Gallegos (Galician Songs) and En las orillas del Sar (On the banks of the Sar) are among her most well-known poetic works. In spite of the ill health that always plagued her life, Rosalía de Castro was always committed to the defence of women’s rights and the political situation of her homeland. Her poems are highly introspective with certain intimate touches as if trying to seek some sort of confidentiality from the reader. They are highly influenced by the emotional state of Saudade, this beautiful Galician-Portuguese word that doesn’t seem to have an accurate translation in any other language: Saudade could be more or less described as a combination of melancholy and longing for something (or someone) that cannot be reached. You will love them! Along with Tristan Corbière, Stéphane Mallarmé and Paul Verlaine, Arthur Rimbaud is considered one of the infamous French “poètes maudits” (cursed poets), known for their unorthodox bohemian lifestyle, which often included alcoholism and drug abuse and clashed against the contemporary morality. 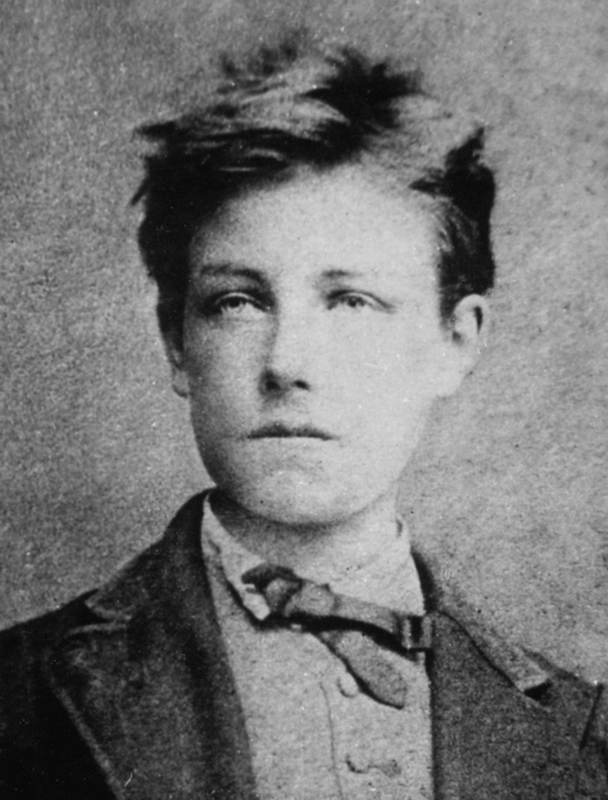 Rimbaud gave up on his education and left his family’s home when he was still only a teenager, during the bloody Franco-Prussian War (1870 – 1871). This event would later play a significant role in his work, inspiring poems such as Le dormeur du val (The sleeper of the valley), which sublimely plays with a symbolism associated to death and denounces the life conditions of the boy soldiers who had been forced to fight as well. Said to have been the stereotypical “problematic teenager”, who drank alcohol, stole from shops and often used abusive language, he would later begin a toxic romantic affair with the fellow poet Paul Verlaine, who was ten years his senior. He died at age 37, due to complications of a bone cancer that had already cost him his right leg. 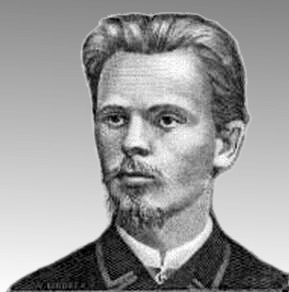 Born in a family of humble origins, Vincas Kudirka is considered one of Lithuania’s greatest poets. He first became interested in Polish literature when he was a little boy; and as a young man, in 1881, he went to Warsaw in order to pursue a university degree. During his stay in Poland, he began to actively work in the “national awakening” of his country, oppressed by then by the Russian Empire; and also founded, together with other Lithuanian students, a secret society which soon started publishing its own clandestine newspaper, Varpas (The bell). He graduated in Medicine in 1889 and published his greatest work, Lietuva, Tėvyne mūsų (Lithuania, our homeland), in 1898, which some years later would become the national anthem of his native country. Unfortunately, he died a year later of tuberculosis, shortly before his 41st birthday. Even though he had been only writing poetry during the last ten years of his life, he also published other notable poems, such as Labora, and translated the works of Friedrich Schiller and Lord Byron into Lithuanian language. Joyce Kilmer was an American poet and writer. Interested in the great classical authors since he was little, Joyce Kilmer was a studious and bookish boy. He attended Columbia University, where he worked editing the college’s particular newspaper and became the vice-president of a literary society. In 1909, after his graduation, he decided to pursue a career focused entirely on writing and proceeded to write several poems and articles for the New York Times’ section of book reviews. A devout Catholic, he would gain national fame in 1913, after publishing Trees. This short poem, apparently so simple, is actually full of tenderness and charm, which flourished from the poet’s candid appreciation of nature’s modest beauty and could easily be considered as a recreation of the bucolic atmosphere which prevailed in so many literary works during the 19th century. Unfortunately, Joyce Kilmer didn’t live much longer after that, for he became one of the thousands of soldiers who died in the gory Second Battle of the Marne, during the First World War. He was only 31 years old. 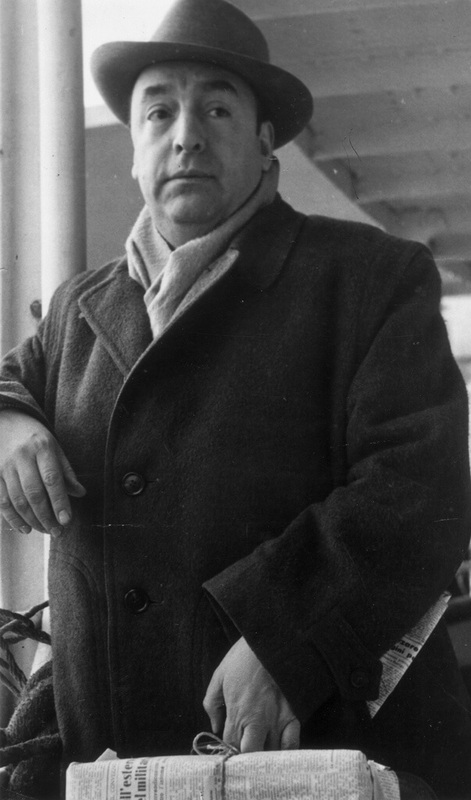 Born as Ricardo Eliécer Neftalí Reyes Basoalto in Chile, Pablo Neruda is considered one of the most influential poets of the 20th century. He was also an active politician, and throughout his life working as a consul in many different countries, including Myanmar, Argentina and Spain. He was awarded the Nobel Literature Prize en 1971, thus becoming the third Latin American writer to receive such honor. Sadly, he would die less than two years later of prostate cancer complications, shortly after the 1973 Chilean coup d’état against president Salvador Allende’s government, which preceded the bloody dictatorship of Augusto Pinochet. One of his greatest poem compilations, Veinte poemas de amor y una canción desesperada (Twenty love poems and a song of despair), published in 1924, catapulted him to fame when he was not even twenty years old. These poems are based on the poet’s own amorous experiences, and it combines several characteristics of real women he knew mixed with a delicious mélange of Romantic and Modernistic language, idealizing a mysterious and somewhat unreachable type of lover which doesn’t really correspond to any of these women. Sublime! Born Marguerite Annie Johnson, Maya Angelou was an American poet, writer and political activist. She had a very hard childhood, experiencing first-hand sexual abuse and the racism that prevailed in the society of her time. After divorcing her first husband, she became a professional club dancer and adopted the stage name by which she would become known in history: Maya Angelou. 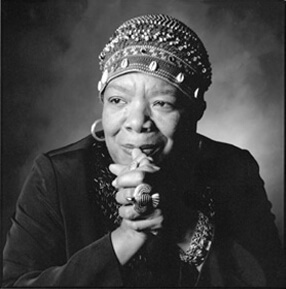 She became a member of the Harlem Writers Guild, an organization of African-American writers first founded in 1950; and in 1969 published her famous autobiography I know why the caged bird sings, which made her the first African-American woman to publish a nonfiction best-seller and nominated her for a Coretta Scott King Book Award. 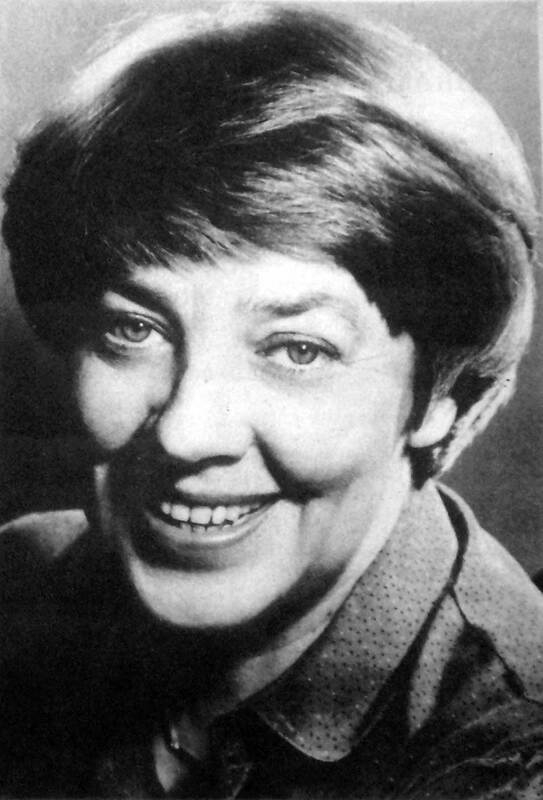 She received numerous prizes and honors throughout her life, including the Distinguished Woman of North Carolina Award and the Crystal Award, and was also nominated to several other prestigious awards, such as the Pulitzer Prize, for her fascinating poetry book Just give me a cool drink of water ‘fore I diiie. Her poems, though short, are written with great sentiment, and her strong and battling spirit will totally captivate you. Sadly, she died a few years ago, before she could complete the latest book she was working on. The poetess of my childhood! And also the poetess so many other Spanish-speaking children’s infancy. Born in Argentina, María Elena Walsh became acquainted with English traditional nursery rhymes when she was little thanks to her British heritage, which would later become one of her main sources of inspiration for her poetry. She wrote her first poetry book when she was seventeen, Otoño imperdonable (Unforgivable autumn), which was praised by some of the most eminent Hispano-American poets, such as Jorge Luis Borges and Pablo Neruda himself. She is best known for writing numerous books for children, including the poem compilation El Reino del Revés (which could be translated as The Kingdom of Contraries), with numerous endearing rhymes such as Canción de la vacuna, La calle del gato que pesca (The and La rana perdida. And of course, she is also known as the creator of Manuelita the Turtle, which is now an iconic cartoon character in several Spanish-speaking countries. But she has also written very good poetry books for the adult audience, such as Baladas con Ángel and Cancionero contra el mal de ojo. Highly recommended! What about you? Do you have any particular favorite poets? We would love to hear about them! Feel free to let us know in the comment section! My name is Sarah and I am a student of Modern Languages. I love literature, ice-skating and cooking (especially ice-creams and sweets!). I'm also a huge fan of Celtic and Baltic cultures and enjoy travelling abroad to learn more about different traditions and customs.